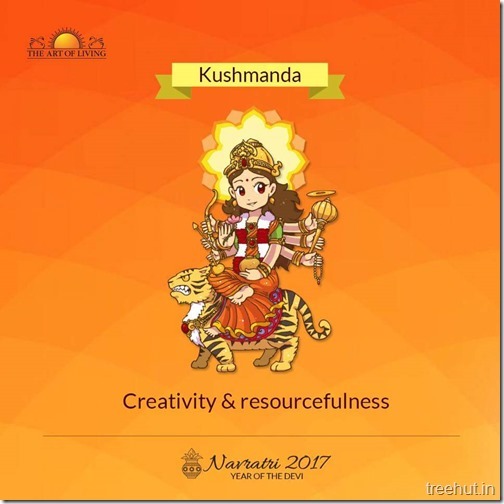 The fourth form of the Mother Divine is called Kushmanda. 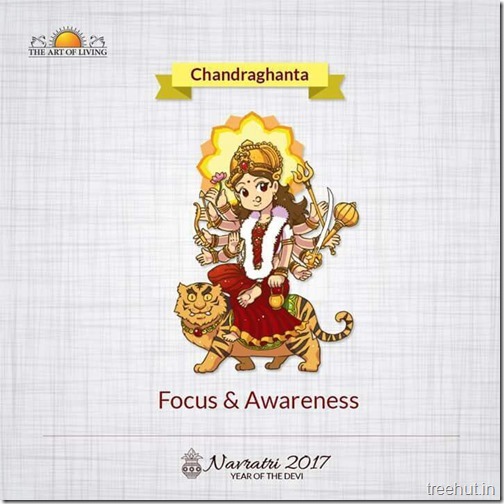 The third form of the Mother Divine is Chandraghanta. 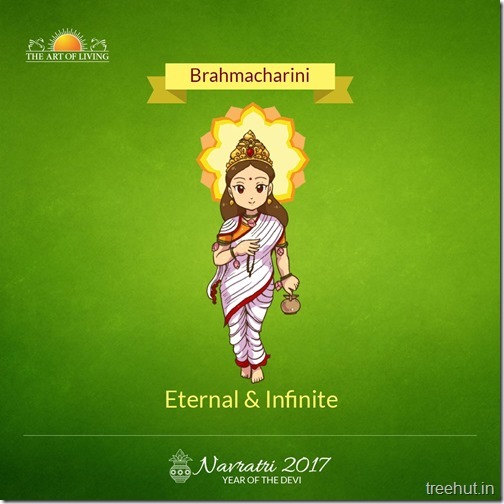 The second name of the Mother Divine is Brahmacharini. 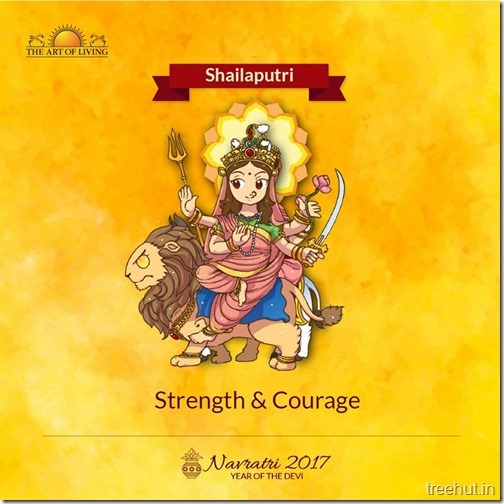 The first name of Goddess Durga is Shailaputri. 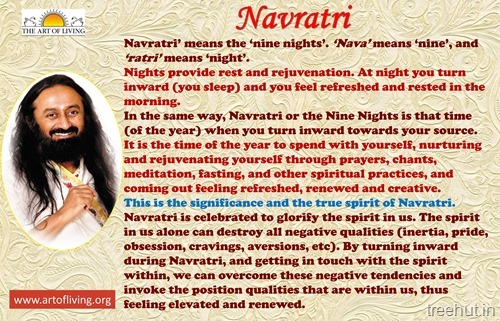 Shaila means the peak. 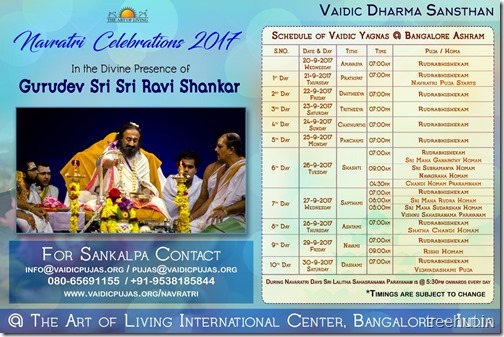 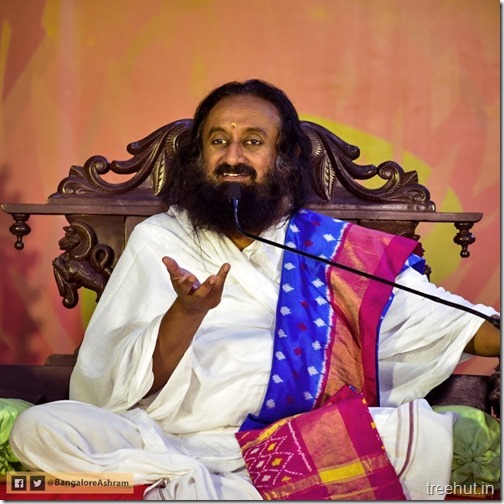 Gurudev Sri Sri Ravi Shankar shares a story which explains why anger and hatred are created and the ways to destroy them.